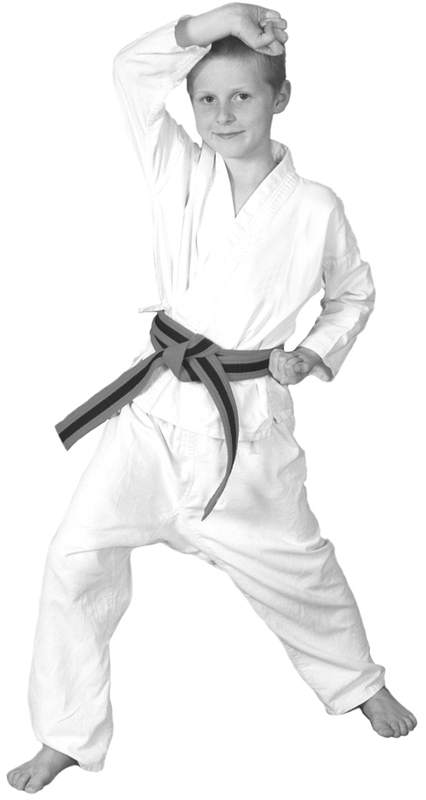 The Juko Kai Martial Arts System is unique because it is easy to learn and fun, making it perfect for children. But make no mistake; our students learn excellent self-defense skills starting with how to avoid confrontation and non-violent conflict resolution. 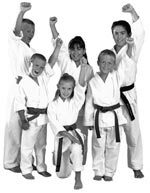 For improving performance in sports and school, or instilling virtues that society wants, Juko Kai Martial Arts Australia is the right choice for your child. No other activity can compare with Martial Arts training when it comes to instilling confidence. As students progress in rank, the confidence instilled enables a student to excel in all areas of life. Martial Arts training deters children from getting into fights when they portray a noticeable aura of confidence. Each belt that a student earns presents a new challenge that your child will learn to meet and exceed. As we prepare him or her to progress to a new belt color, the student’s skill level improves and confidence grows. Our parents tell us this gives their children an unshakable confidence that improves all areas of their children’s lives. Parents tell us that one of the main benefits that they see right away is the improvement in their child’s discipline and self-control. Our school has an experienced staff of professional, patient instructors who are great with children. We have fun with the kids but we also set clear limits and boundaries on acceptable behavior. Instructors insist that students maintain this disciplined lifestyle at home, in school, and elsewhere. We teach that black belt represents excellence. Instructors emphasize this in every class until black belt and beyond. Eventually the kids begin to ask themselves, “How would a black belt listen to the teacher? How would a black belt do this assignment? How would a black belt behave for mum?” This is a powerful motivator that often makes massive changes in the behavior and attitude of children. At Juko Kai Martial Arts we teach children to respect their parents, teachers, instructors, siblings and elders. We have a code of ethics that creates a courteous, well-rounded child who knows how to treat others and their belongings. Whether your child needs to get in shape, or is an all-star athlete, Martial Arts training will take them to a whole new level of physical achievement. The techniques we teach work literally every body part, while sharpening the mind to a crisp focus athletes refer to as “the zone.” This causes children to excel in sports like soccer and football. We’ll teach your child to protect him or herself in a safe and supportive manner. Your child will be taught not only what to do, but when to use these skills. With the knowledge to defend oneself comes great responsibility. Juko Kai Martial Arts students are trained NOT to misuse the martial arts, even when fooling around with their friends in a friendly setting. Hopefully, your child never has to use it. The confidence he or she gains from knowing martial arts will deter most potential bullies. We do not train to fight. We train so we do not have to fight! We look forward to hearing from you regarding our childrens program. Be sure to visit our special low cost offers section.